The Store doesn't just want your money--it wants your soul. 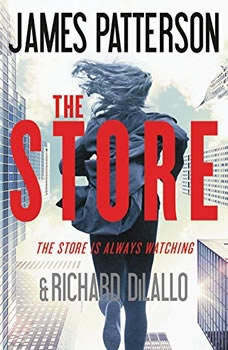 BONUS: Includes the first-time-in-print novel The End!THE STORE IS WATCHING YOU.Jacob and Megan Brandeis have gotten jobs with the mega-successful, ultra-secretive Store. Seems perfect. Seems safe. But their lives are about to become anything but perfect, anything but safe. ALWAYS WATCHING.Especially since Jacob and Megan have a dark secret of their own. They're writing a book that will expose the Store--a forbidden book, a dangerous book. ALWAYS.And if the Store finds out, there's only one thing Jacob, Megan and their kids can do--run for their bloody lives. Which is probably impossible, because--THE STORE IS ALWAYS WATCHING.